Ever consider doing a short work stint on the other side of the world to immerse yourself in another culture, explore the tropics, and travel throughout Asia? When Dr. Kevin Arnold approached retirement from fulltime urgent care, he and his wife, Linda, wanted to explore new places, so they researched options and talked to Global Medical Staffing. In the end, they picked Guam for its nearly limitless potential for travel. In the mornings before Dr. Arnold’s shift started at noon, he and Linda had plenty of time to explore and relax. They went hiking in the jungle, saw tourist sights like the local World War II museums, and spent time poolside. The couple also checked out Guam’s massive amusement and water park, along with exploring all kinds of natural pools out in the jungle. True to its reputation, Guam provided the Arnolds with numerous travel opportunities. For instance, they took a three-day weekend to visit Tokyo, and after the assignment, they flew to Manila, and during a month-long adventure, also checked out Singapore, Vietnam, China, South Korea, and Japan. And about the current tensions between the U.S. and North Korea — Dr. Arnold says that the U.S. military, which maintains a strong presence in Guam, showed no signs of concern, nor did the local people, so the Arnolds didn’t worry. Practicing medicine in Guam felt refreshingly different to Dr. Arnold from his 35 years of urgent care experience in Wisconsin, something that included many colds and sinus infections. “I treated almost no sinus infections in Guam, a real treat for me,” he says with a grin. Territorial authorities own the hospital where Dr. Arnold worked, so like any public hospital, it operates on a tight budget. That said, the technology was all up-to-date, Dr. Arnold adds. He also saw a mix of tourists, most of whom didn’t speak English, so he made good use of the Google translator app. Through this, and some of the nurses, the patients and Dr. Arnold communicated back and forth without problems. The people are friendly and inviting, Dr. Arnold emphasizes. 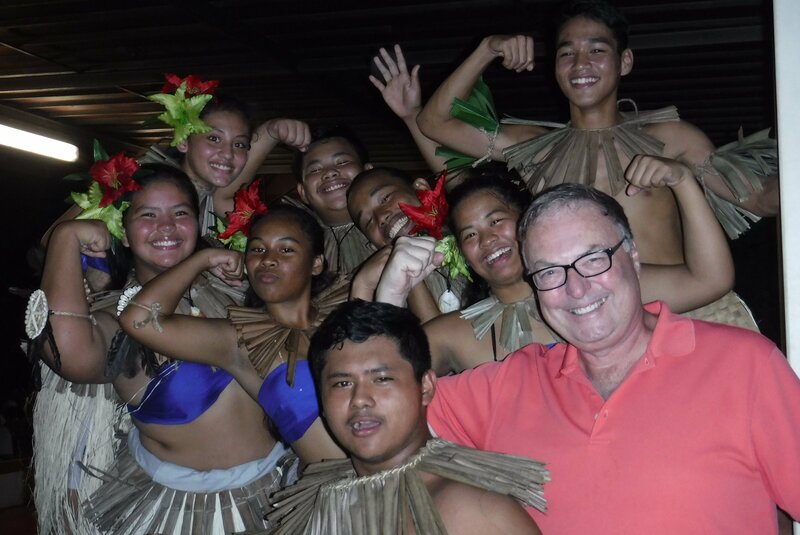 While there, the Arnolds went to a couple of local festivals, including one that celebrated the Chamorro indigenous culture. Residents invited them to try the local food dishes. “I asked if I could buy our meals, and they said please join us, for free. They’re very inclusive,” Dr. Arnold explains. While there, the Arnolds both easily made friends — Dr. Arnold mostly through work and Linda through social groups, like a book club. Now, they keep in touch with their new friends in Guam. If you’ve ever considered traveling and practicing medicine in another part of the world, all while earning a typical U.S. physician salary, consider Guam. Physicians can take short three-month assignments like Dr. Arnold did, and licensing and privileging prove no harder than anywhere else in the United States, he adds. Click the button below to browse our current opportunities. Or just pick up the phone and give us a call at 1.800.760.3174.